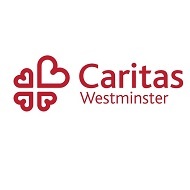 Caritas Westminster is the social action agency of the Diocese of Westminster. Underpinned by Catholic Social Teaching, Caritas aims to help individuals and groups in the Diocese of Westminster to use their gifts and talents to create inclusive and caring communities. Caritas runs three directs services: Caritas Deaf Service, to enable Deaf and hard of hearing people to fully participate in church life, Caritas St Joseph’s, for people with learning disabilities, and Bakhita House, for women escaping human trafficking. Through the Caritas Hubs, Caritas encourages parishes to engage with their own social action projects by offering training, and developing and supporting new groups. Caritas also offers grants for parish projects and people in need through the St John Southworth Fund. Caritas is now developing a volunteer service to encourage greater participation in social action across the diocese. Caritas is developing five social enterprise projects to offer sustainable opportunities for those who may otherwise be excluded from employment, including those with learning disabilities, homeless people and ex-offenders.